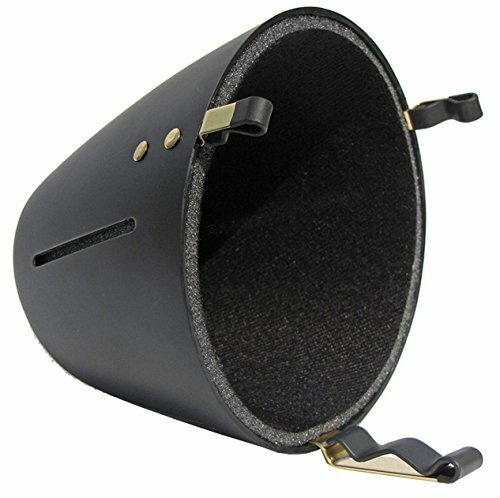 The new bucket mute for trumpet, tenor & bass trombone. Soulo Mute is perfectly in tune in all registers, has no back-pressure, and no 'squirelly' notes. The coated, unbreakable brass clips are flexible to accommodate all bell sizes and allow for quick on and off. It is considerably lighter than any other brand. Soulo Mute offers two adjustable positions, which allow for different color sounds and help the trumpet player to blend perfectly in a section. The mute is perfect for performance and sound recordings, as it will never fall off the bell. Endorsed by US and international trumpet icons like Wayne Bergeron, Herb Alpert, Roger Ingram and many more. Made in the USA by trumpet player Mike Jarosz. Makes a great holiday gift for any trumpet player! If you have any questions about this product by Soulo Mute, contact us by completing and submitting the form below. If you are looking for a specif part number, please include it with your message.